To the average person, this abstract sculpture has little value beyond the confines of an art gallery, and is as removed from cars as abstract paintings are from architectural plans. That’s a sentiment shared not only by folks don’t know who Andy Warhol is, but even among designers at leading car companies. In most car companies, a car begins life as a sketch, simply because it’s the most logical starting point. As always, Mazda sees the world differently. The company’s Global Head of Design, Ikuo Maeda, whose father Matasaburo Maeda designed the first generation RX-7, is a firm believer that if a designer can’t express emotions and ideals in an abstract form, he or she can’t make a beautiful car. As such, all Mazda cars begin life not as a sketch but as an abstract clay sculpture, which they prefer to call it as Goshintai, Japanese for a 3D object of worship. The image above shows how a Goshintai evolves into its final form as the MX-5. In the case of the MX-5, the objective was to capture the form of a sprinting cheetah. Placed side by side (picture taken from Mazda Design Forum 2015 in Hiroshima), it’s easy to see what inspired the MX-5’s distinctive shape. The value of Maeda’s approach is debatable especially when automotive grade clay is expensive and computers can do it cheaper and faster. However few will disagree that the all-new Mazda 3 looks better than anything BMW, Mercedes-Benz, or Audi have done in recent times. According to the General Manager of Mazda's Design Division, Yasushi Nakamuta, whom Carlist.my spoke to at the recent Mazda ASEAN Design Forum in Bangkok, the reason the Mazda 3 looks so good is because it’s able to manipulate natural light and shadows in ways that computer generated designs can’t. Nakamuta added that the car will look even better when viewed in person. 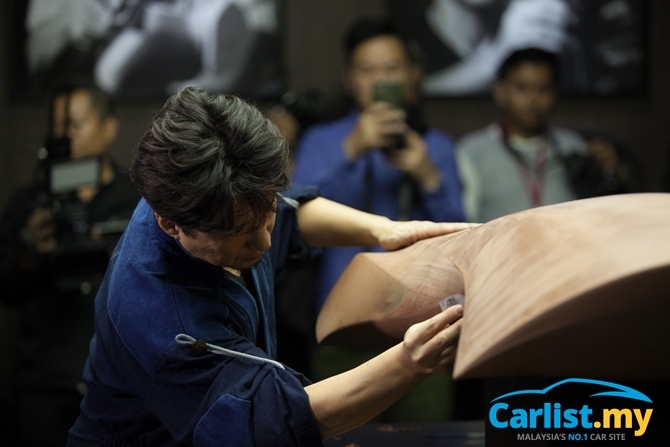 Fine tuning the car body’s surfaces to achieve such an effect is only possible with the skills of a Takumi (expert craftsmen) clay modeler. Their deft hands are able to shave clay with precision of less than a millimeter to create the perfect curve. Adjusting the same design on a computer won’t be able to achieve the same result because even the highest definition power wall screens can’t simulate natural light reflecting off a car’s surface. This interplay between light and shadow is described by the Japanese as Utsuroi, and it’s a key pillar for Kodo Design Phase 2, Mazda’s new design language that made its debut in the all-new Mazda 3. 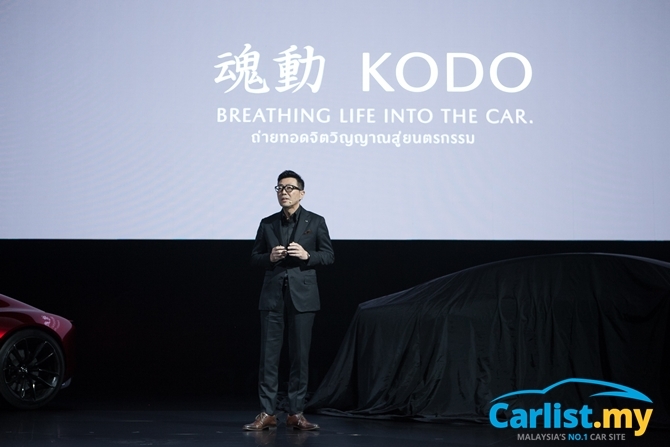 The previous Kodo Design focused on emphasizing horizontal lines and dynamic character, something which is already done by nearly every car maker. Kodo Design Phase 2’s manipulation of light and shadow however, is something that Mazda believes is nearly impossible to copy without Mazda’s Takumi clay modelers. Indeed, the industry’s consensus is that Mazda modelers are the best in the world, even better than those working in German premium brands. 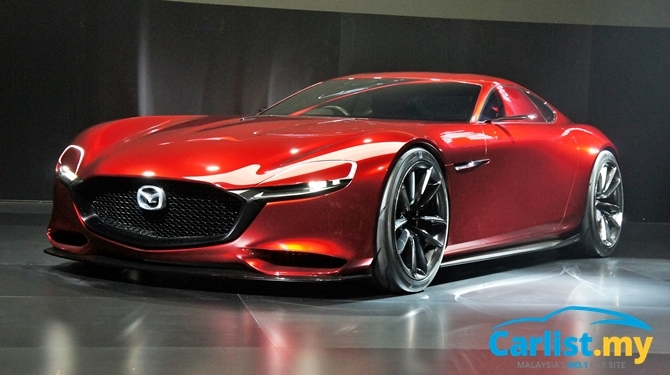 Nakamuta is careful to add that Mazda is not abandoning technology. Far from it. 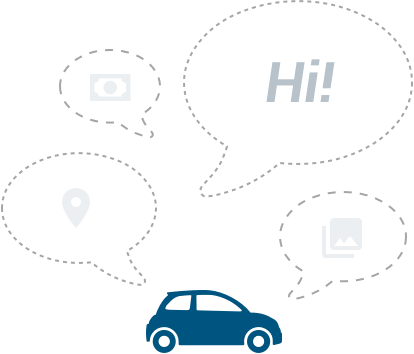 The difference between Mazda and other car makers is that Mazda understands the strengths and weaknesses of both analogue and digital approaches to solve problems, never abandoning one for the other, but leveraging on both. Once the abstract Goshintai is perfected, it’s digitized by a 3D scanner and transferred into a computer for the next step. This process is then repeated again with a conceptualized car. You might be wondering isn’t this hand-made, analogue approach to design too costly (automotive grade clay is not cheap) and too time consuming for today’s world?  In most cases, you would be right, because Mazda took two years of trial and error to perfect the formula to achieve the desired Utsuroi effect. But to Mazda, the process is worth the trouble because the results are, simply put, stunning. 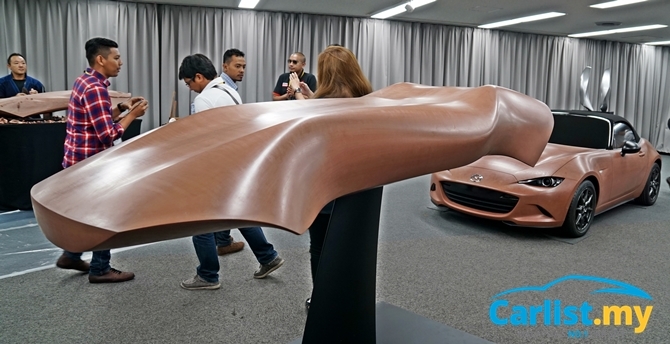 Considering how time consuming the design process is, we asked Nakamuta how Mazda intends to scale up this approach in a sustainable manner; Nakamuta laughed and assured us that Mazda is certainly not foolish enough to spend two years on designing just a single model. “The two years spent also included coming up with the right formula for our design.  We now have a template that we can apply it across multiple body types and segments,” he said. Nakamuta also explained that Mazda has a very different approach to grooming young design talent. Most car companies recruit designers from schools specializing in industrial design. It’s a logical choice but Mazda also believes that the practice limits the available talent pool. It’s also the reason why Mazda encourage their designers to participate in non-automotive projects, to sharpen their appreciation for aesthetics and different forms of art. 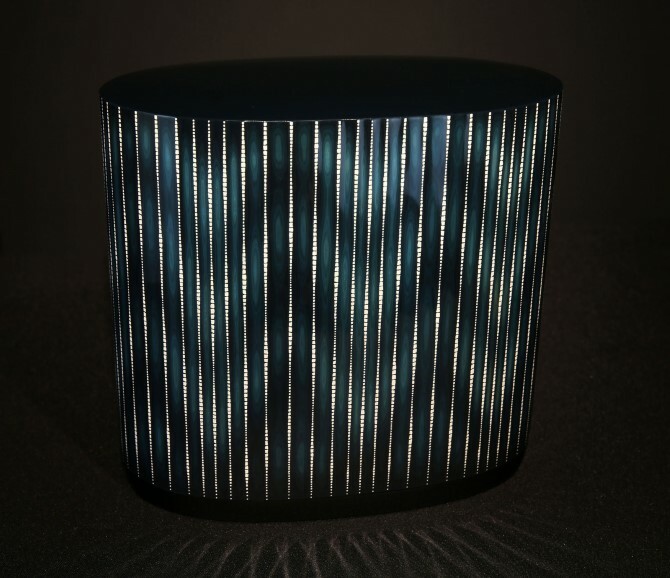 This Shiraito (The White Thread) sculpture was created in collaboration with the head of the lacquerware-making Kinjo-Ikkokusai family, using artisan techniques developed in Mazda’s hometown of Hiroshima. Finely grained egg shells to capture impression of a water fall. 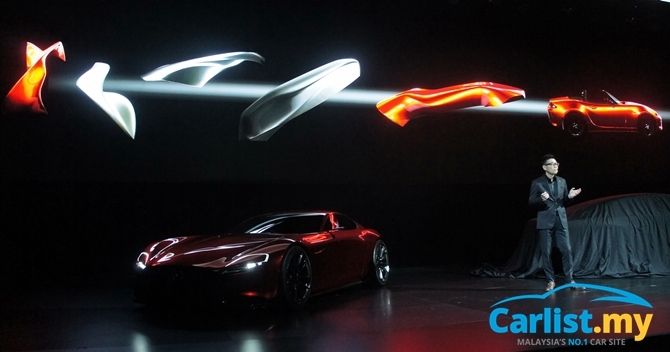 The inaugural Mazda ASEAN Design Forum also saw the regional debut of the RX Vision and Vision Coupe concept cars. 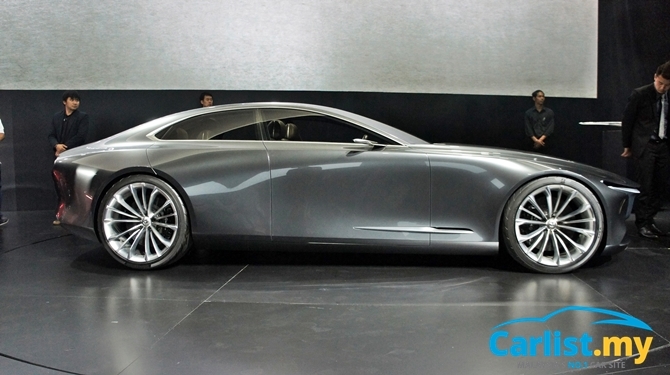 The former is a two-door sports car powered by the company’s concept SkyActiv-R rotary engine. Details are scarce but we believe that the vehicle is electric and the rotary engine is only used as a range extender. The latter is a full-size, rear-wheel drive sedan, possibly in the same class as a Toyota Crown, or maybe even a Genesis G80. The two concept cars exhibit the two extreme ends of Kodo Design Phase 2 and all future Mazda models will have design elements that fall somewhere between these two concepts. Earlier this year, the Vision Coupe won the Most Beautiful Concept Car of the Year award at Paris’ 33rd Festival Automobile International, beating the the Audi Aicon, BMW i Vision Dynamics, Lamborghini Terzo Millennio, and Vision Mercedes-Maybach 6 Cabriolet. 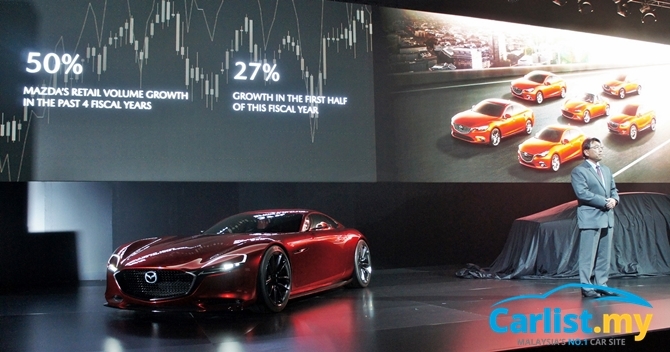 Didn’t we say that Mazda is doing a better job than premium German brands? This is the second time Mazda won the award. The RX Vision concept took the same honours two years earlier. 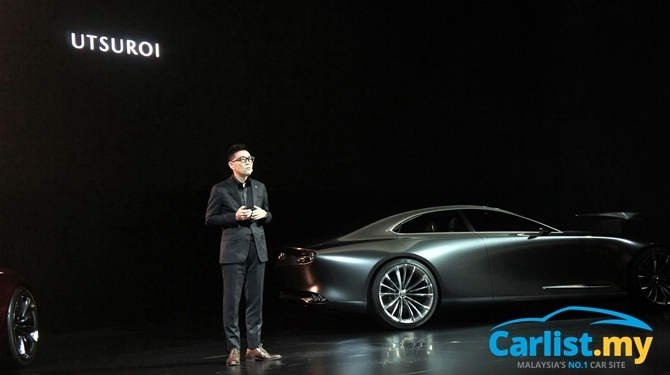 More important than cultured talks on art and design, Mazda’s products are gaining traction in the market place. 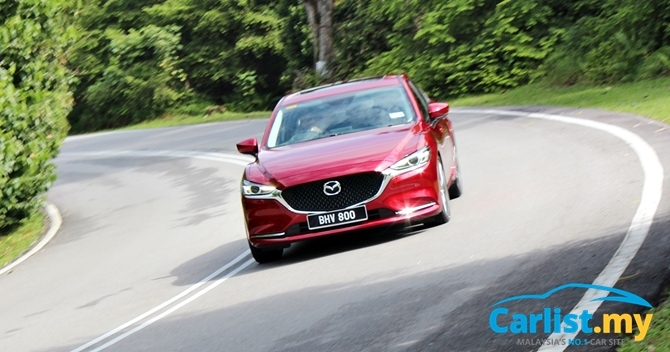 Across the ASEAN region, sales of Mazda vehicles have increased by 50 percent over the last four years, driven by strong demand for the CX-5, which is assembled in Malaysia and exported to Thailand and the Philippines. The CX-5 has bagged six awards so far in Malaysia, including the Malaysian Automotive Institute’s Mid-size Crossover of the Year, Star Media Group’s Carsifu’s Best Mid-size SUV/Crossover, as well as Carlist.my’s People’s Choice Award (voted by public) for SUV category. The latter also saw the Mazda 6 winning the Editor’s Choice award for Most Outstanding Design.